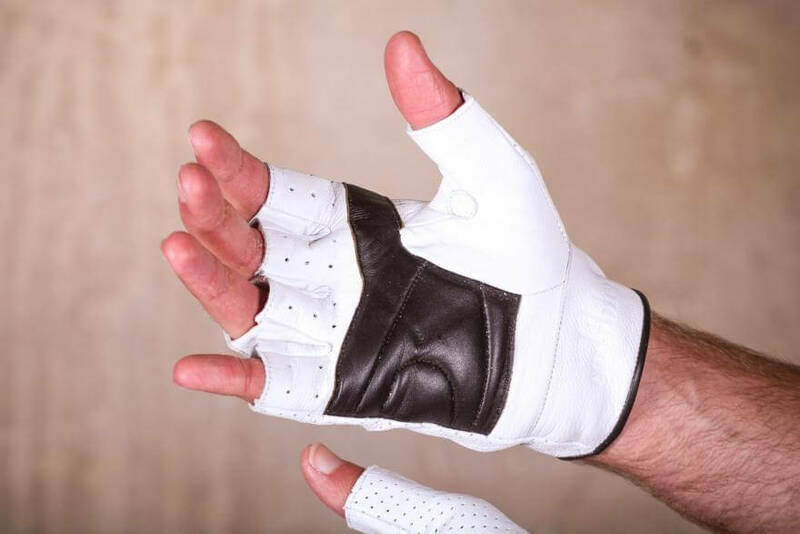 A hand stitched, Leather Cycling Mitt to protect your hands for seasons ahead. 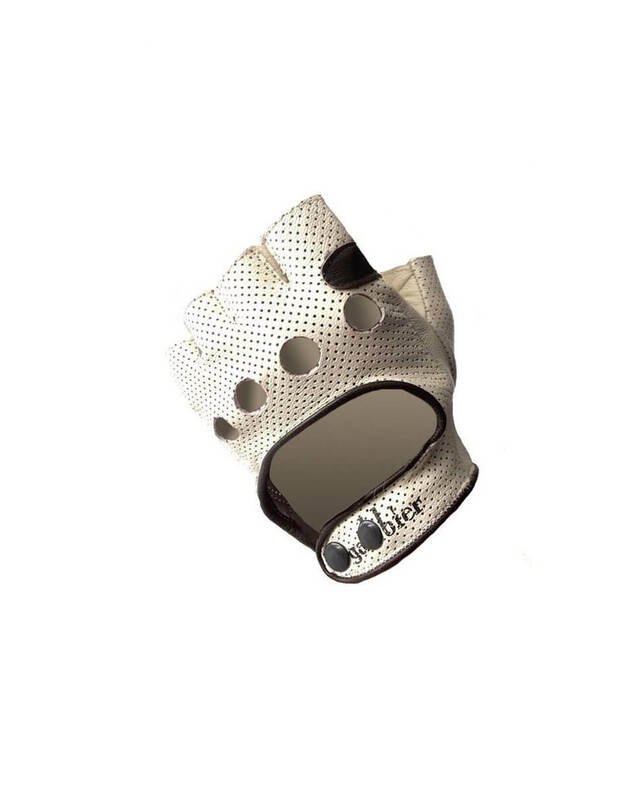 Our new cycling glove embraces both traditional imagery, contemporary design and ergonomic construction. This is the second Generation Campionissimo, retaining the classic styling but with upgraded leather and refined stitching to make it even more durable. Smooth, vented style. 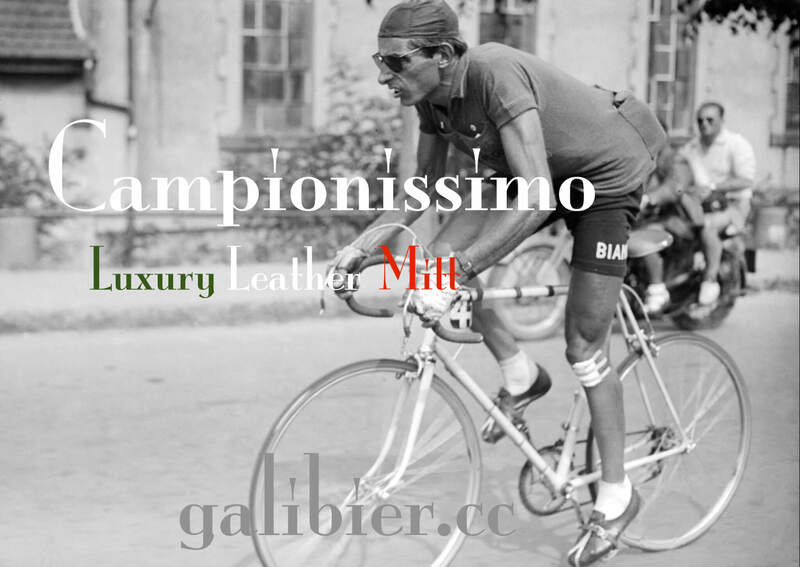 We produced our finest leather cycling glove in honour of the champion of champions. In winning the Giro di Lombardia five times he made it his own, but even as a light climber, to win over the pave of Paris–Roubaix, proved how deserving of champion status he was. Our second Generation Campionissimo has retained the classic styling but with upgraded leather and refined stitching to make them even more durable. 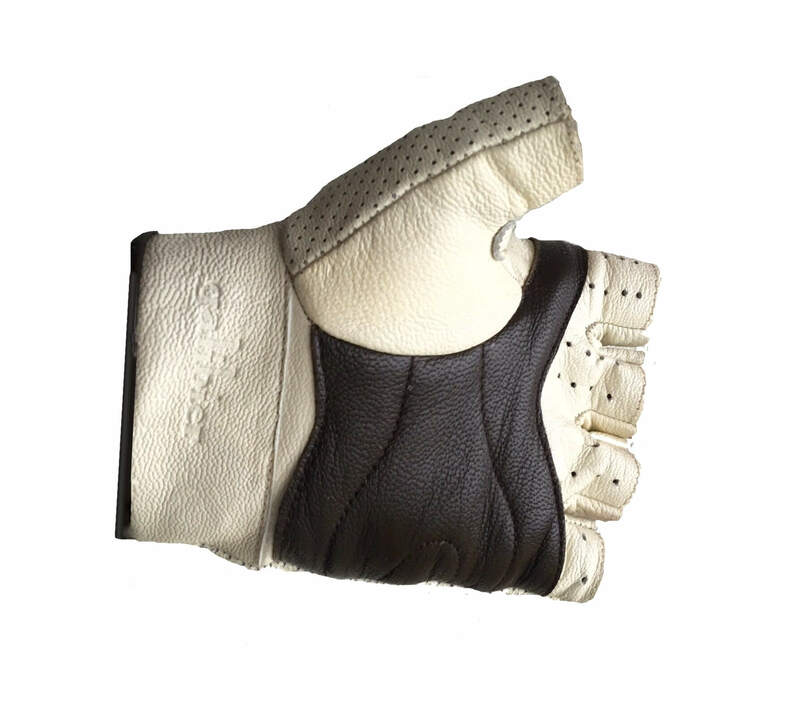 The leather will bond to your hand after a few rides and become unique to the wearer. Once matched they will be your new favourite thing. The palm is lightly padded by adding an extra layer of walnut brown leather. 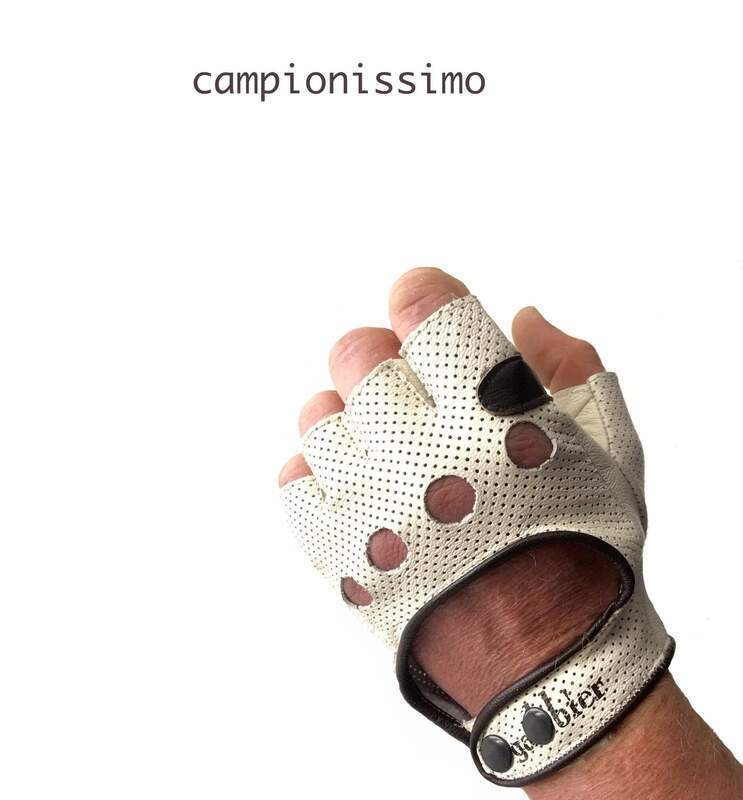 The Campionissimo’s rear leather is gently perforated with large knuckle holes to assist with ventilation. 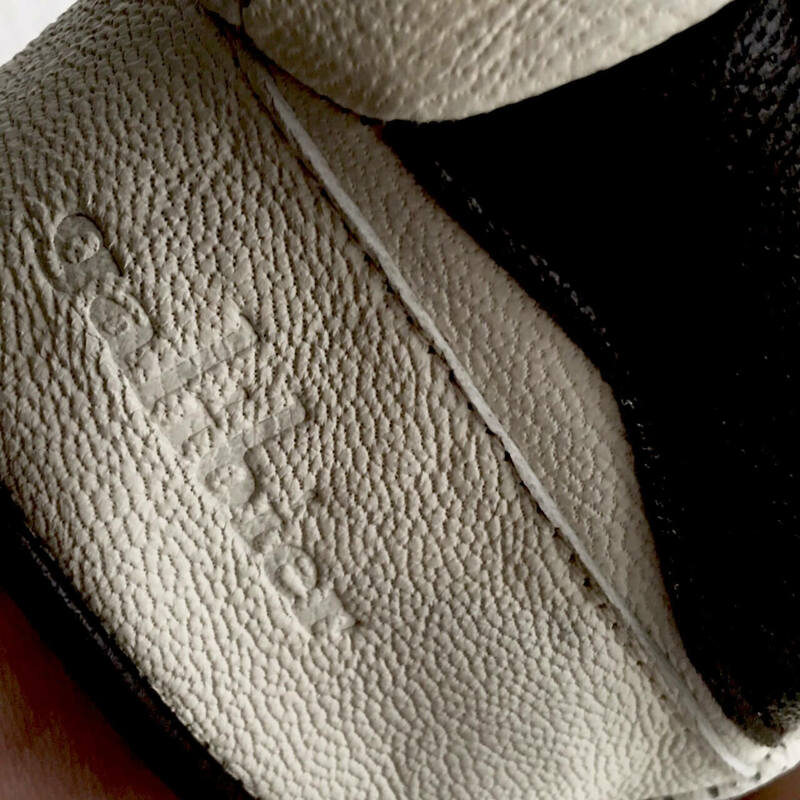 The naturally dyed cream hide is Goatskin, often referred to as nature’s strongest leather. It has very high tensile-strength and abrasion-resistant properties, but has excellent softness, supple motion and is lightweight. A forceful teacher in 1927 encouraged an 8 year old Angelo Fausto Coppi to write “I ought to be at school, not riding my bicycle” Thankfully he didn’t listen. Il Campionissimo. Fausto excelled in both climbing and time trialing. He won the Giro d’Italia five times and Le Tour de France twice. 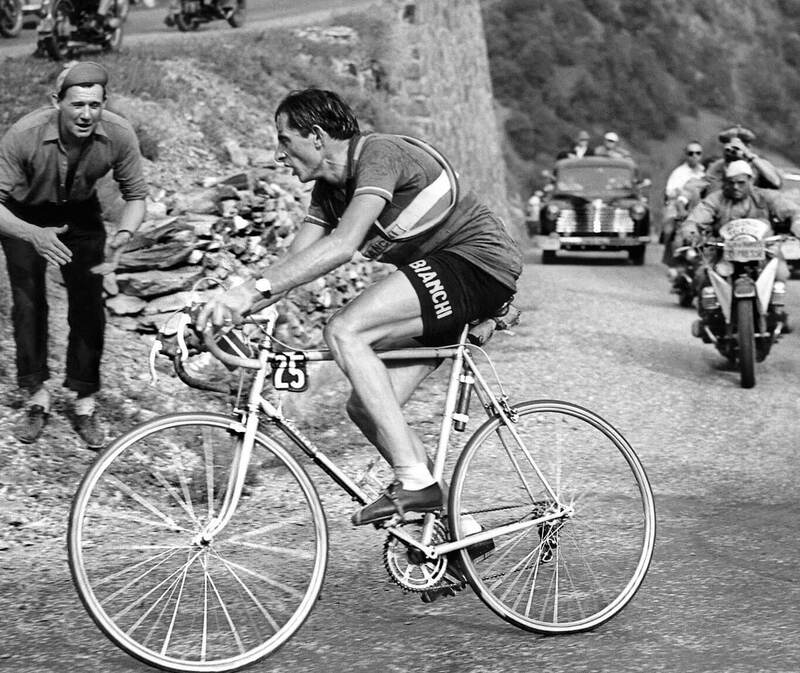 But his total style was displayed sprinting to the World Championship victory in 1953. A good track mitt is removed by pulling off inside out. Road-specific pad design using double leather in contact points. Like all good mitts, they should be neat fitting. Measure right around your knuckle and compare to chart below. Just awesome, Love the smell of leather riding along. 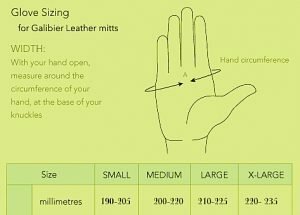 Would (and did) size down as the size chart leaves them fitting larger than my normal mitts. Wonderful mitts from a wonderful company. Wearing well 500 miles in, and extremely comfortable. Made me smile on my trip to the Alps and especially on a romp up Col du Galibier. This company is ace: great quality, great customer service, supreme value for money! 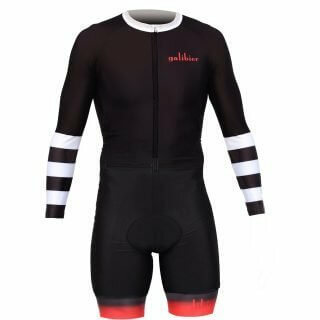 Just back from 900 miles cycling out to Italy wearing these and they were brilliant. Really comfortable, look great and give you some killer tan lines! Highly recommended. 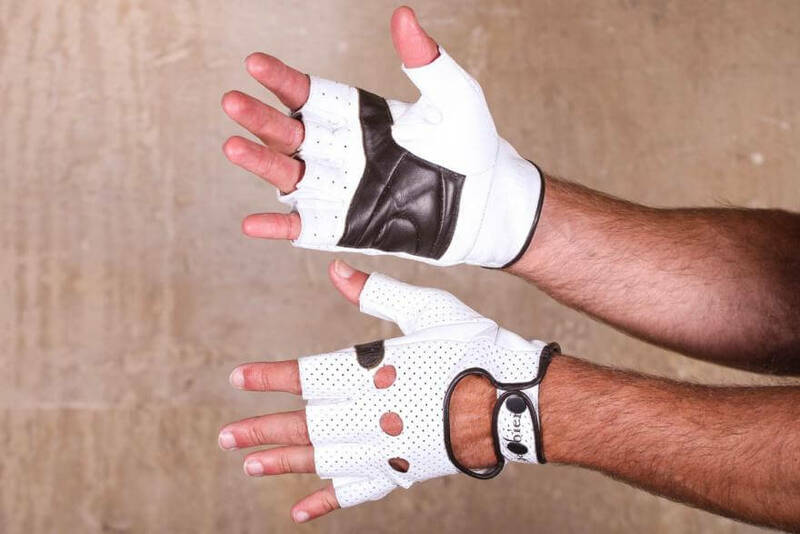 I bought these last summer as a treat to myself after buying an Italian bike- they are great, they fit true to size, I generally take off my gloves when I am going up a climb as I find the gloves a bit restricting and warm, but with the leather, my hands stayed cool….. Another great product by Galibier-thanks!! A feeling of irresistible nostalgia overcame me when I saw these mitts on the website. They come up to expectation and look like they do on the screen. Sizing I found a touch large after ordering as the guide suggested but coming down a size was perfect. Having now rode around 10’000 km in there gloves I think I am totally converted to leather gloves. The fit wonderfully, look good and most importantly are very comfy. I was a bit worried how the leather would wash and dry. Well the answer is if you take a bit of care and use a quality balm you will have no issues. Yes much more work than synthetic, but I have never had a synthetic glove as comfy and long lasting. I had stitching issues with my first pair, the customer service was spot on. I don’t think I have ever reviewed a pair of gloves – but these are the exception as they are so comfy. I’ve been using these for over a year now and they literally are my single favorite cycling “thing”. I was delighted when spring gave way enough to the sun to get them out again. There something more elemental about them than synthetic mitts. It’s like the difference in Ray Bans and beach side bootlegs, or Doc Martin’s and eBay copies. They feel like an old friend now. Maybe because they kind of mould to you, whatever the reason. I’m hooked. I love them. These are undoubtedly a quality pair of gloves. I measured my hands, looked at the sizing and went for small. Unfortunately, they are too large around the wrist. Would you ever consider doing female-specific products any time in the future please? Just bought my third pair. 1st pair survived 8,000km and then I dyed them blue ( not recommended), 2nd pair 8,000km and beginning show signs of use/abuse. So time to buy a 3rd pair. Abuse means ridden in all conditions, pouring rain to 40C heat, by somebody who sweats profusely for racing, commuting and century (both types) rides. Only downside is they are designed for square hands, my hands are longer and thinner than that. I need a medium for the length of my hand, even though I would be a small based on the width of my palm. Still I will keep buying them, because they are such a brilliant mitt, comfortable and hard wearing. Excellent gloves!! Love the smell and feel of leather gloves. I won’t be able to try these out yet as its -20 now here in Canada, but I have no doubt they will be outstanding. The fit and feel are great! !